Directly connected to Schiphol Amsterdam Airport via a covered walkway, Sheraton Amsterdam Airport Hotel and Conference Center is located less than 5 minutes from the airport&apos;s arrival and departure halls, providing ultimate convenience to walk between the hotel, the terminals and other services at Airport City Schiphol. All 407 comfortable soundproofed rooms and suites feature the signature Sheraton sleep experience bed, for a memorable good night&apos;s sleep. 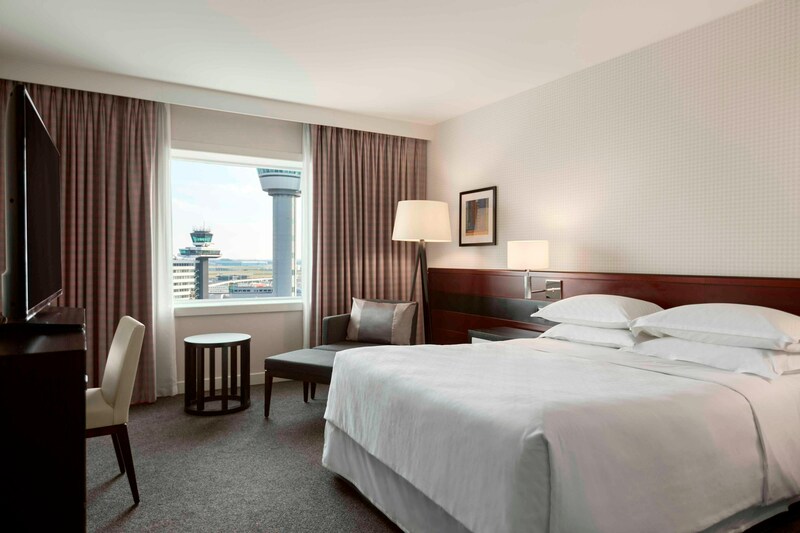 With views overlooking the airport runway, our Sheraton Club Experience provides a warm and connecting environment and includes complimentary breakfast, evening hors d&apos;oeuvres and a variety of beverages. Our parking spaces are the closest to the airport terminals. 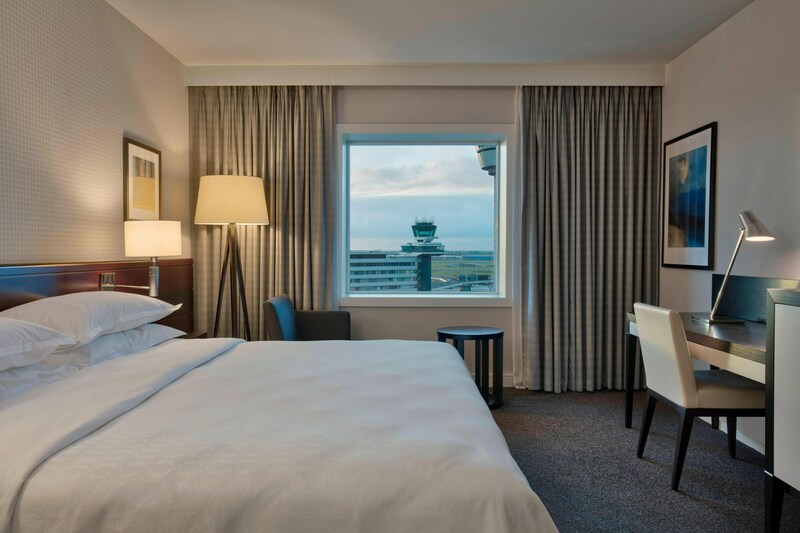 Our 407 comfortable, soundproofed guest rooms and suites offer the perfect space for a good night’s sleep at the heart of Schiphol Amsterdam Airport. Amid warm natural lighting and thoughtful local design, Stripes serves perfectly prepared steaks and succulent fish from a world-class charcoal grill with our signature seasoning giving them a unique and delicious taste. Come together at one of the fastest expanding and busiest airport in Europe. 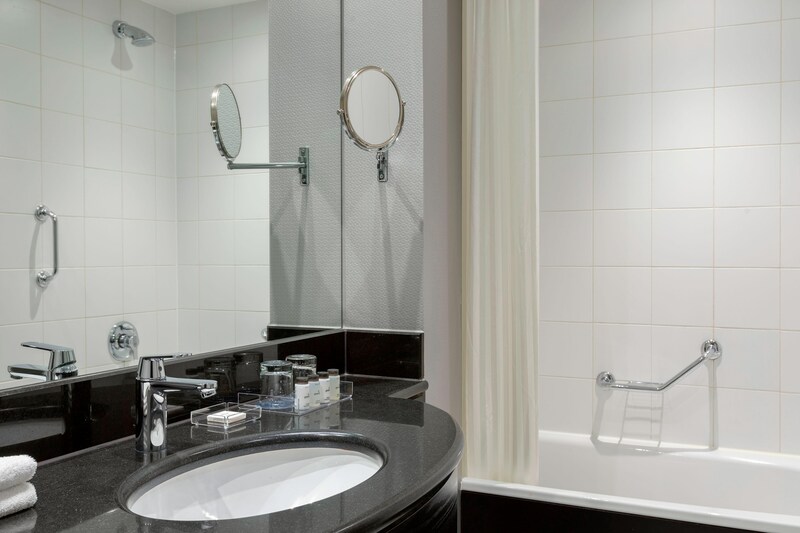 With less than a 2-minute walk from the airport arrivals hall, you can stroll to the conference center with ease. 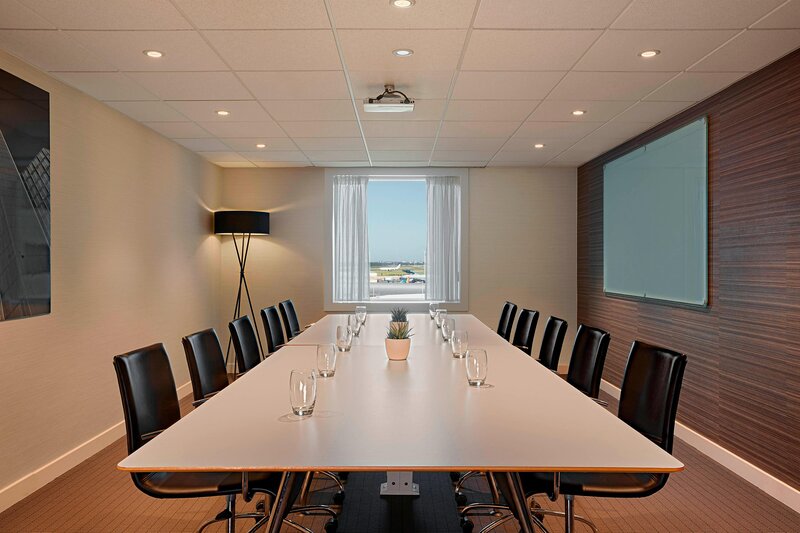 Benefit from over 20 years of MICE experience that caters to any of your needs: from intimate boardrooms to larger functions. 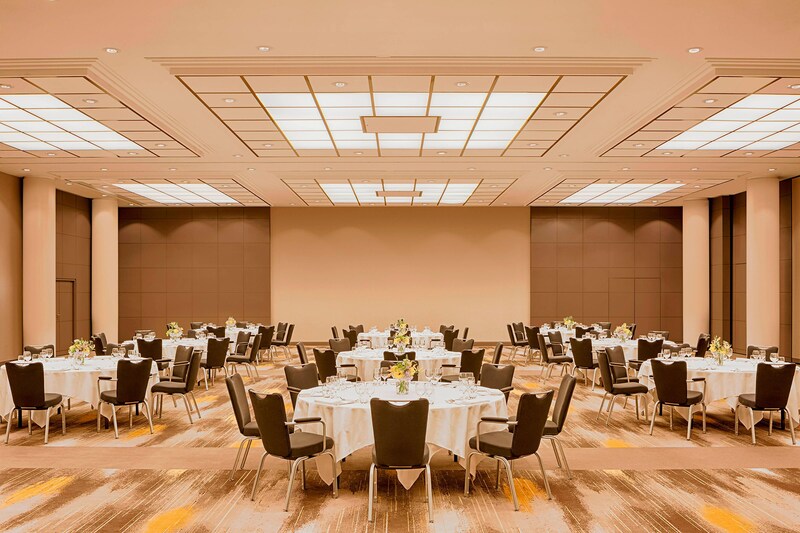 Our 30 meeting and event spaces can accommodate from 4 up to 550 guests. After a long flight or productive meeting, our restaurants and bars are the ideal place to meet with family, friends and colleagues over a great meal. Dine from an extensive menu of personalized charcoal-grilled dishes with views over the airport at Stripes restaurant. You will find the heart of our community at The Gate. Take a moment to relax with a fresh take on delicious bites and cocktails in the imposing setting of the hotel atrium. 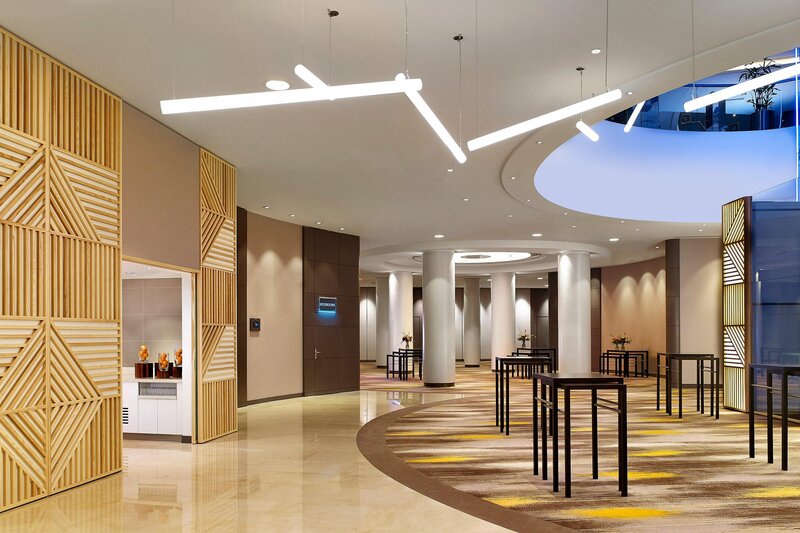 The Gate is a great spot for your small or casual meeting within the airport or to connect your tech at the Sheraton community table while you catch up on your e-mails. Located inside the Sheraton Amsterdam Airport Hotel & Conference Centre, just next door to the World Trade Center offices at Schiphol Airport and only a 2-minute walk from the airport’s arrivals & departures hall, Runway Cafe is the perfect spot to grab a drink with the team, colleagues or friends and family. Catch-up or watch the latest sports game while enjoying our Saints & Sinners menu. All inside Amsterdam Schiphol Airport.